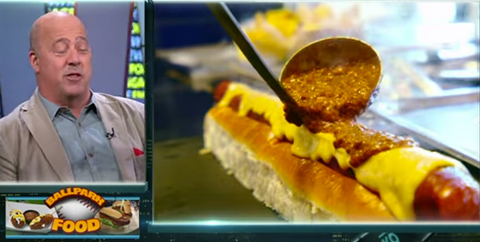 About super-sized stadium food, Zimmern says, "It's criminal, it's overpriced, and it's destructive for people who are eating it." 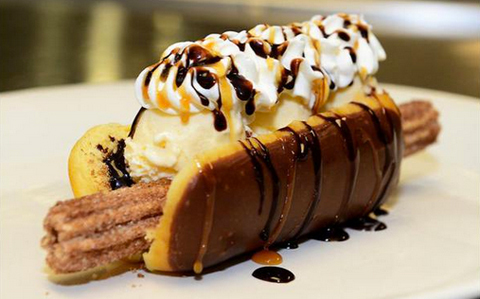 We’ve seen quite a few intriguing (and horrifying) ballpark creations launched this season. Just take the 1,117-calorie Churro Dog, which is being served at Chase Field in Arizona, or this 18-inch Krispy Kreme doughnut hot dog. These super-sized riffs on American classics are turning the game into an excuse for extreme eating. “You mean $97,” says Rapaport.